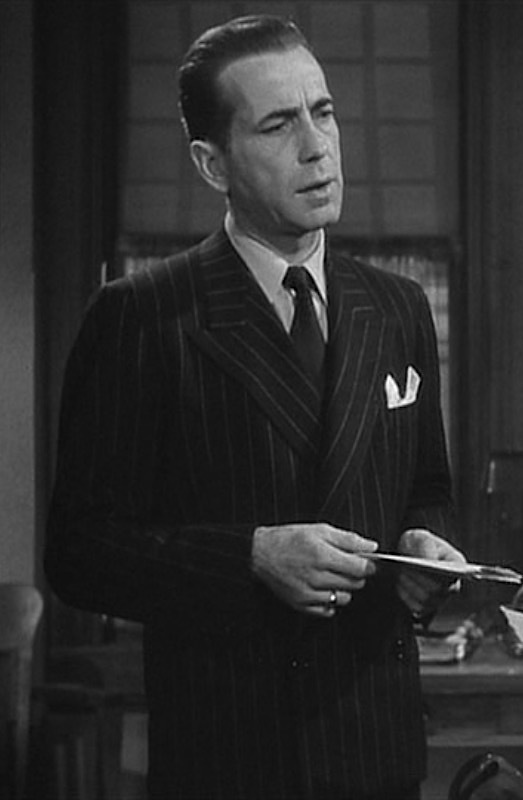 Humphrey Bogart as Philip Marlowe in The Big Sleep (1946). 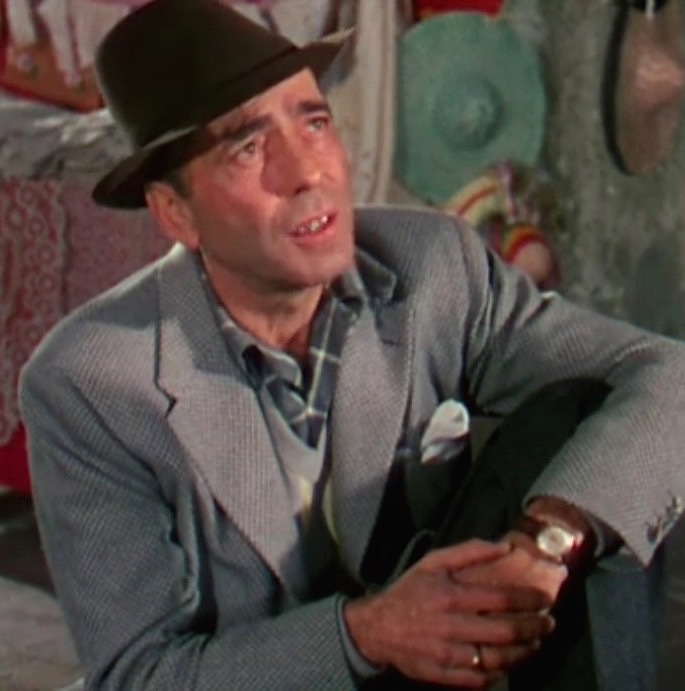 Today is a pretty special day for me, and I’d like to celebrate the woman who is the Bacall to my Bogie by reflecting on The Big Sleep, which was originally released in theaters 70 years ago tomorrow, eight days after its premiere on August 23, 1946. 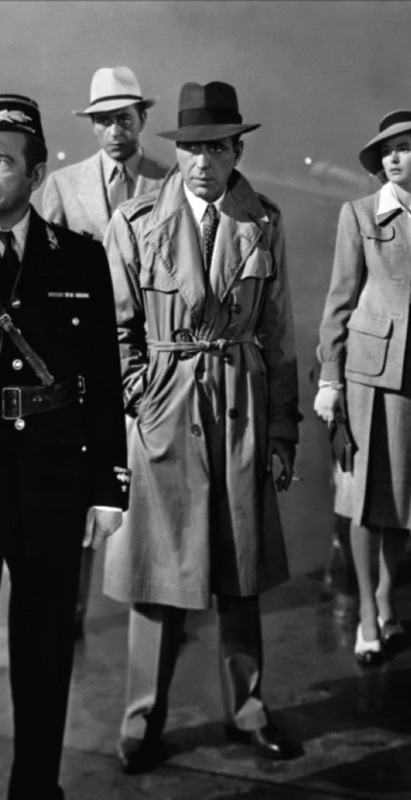 Humphrey Bogart as Rick Blaine in Casablanca (1942), surrounded by friends and foe. 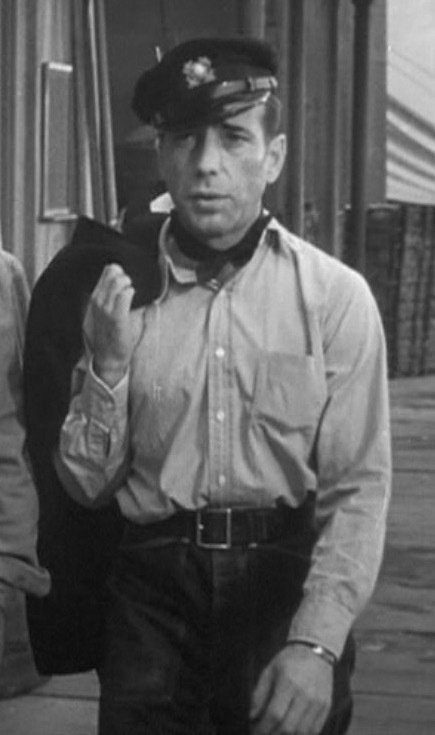 Before Casablanca was released in 1942, Humphrey Bogart had spent the majority of his career in secondary roles as sniveling bastards. His first major role in The Petrified Forest saw him as a Dillinger-esque armed robber far more interested in his six-shooter than romance. 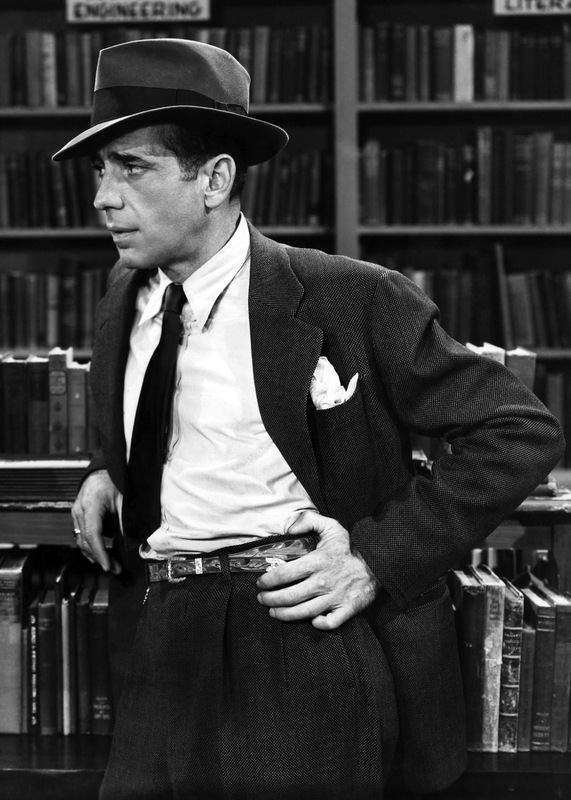 He was the foil to Jimmy Cagney’s criminal “hero” in Warner Brothers gangster flicks like Angels With Dirty Faces and The Roaring Twenties, and it wasn’t until 1941 when he finally received star billing in both High Sierra and The Maltese Falcon. The latter film is often considered his breakout role as the cynical P.I. 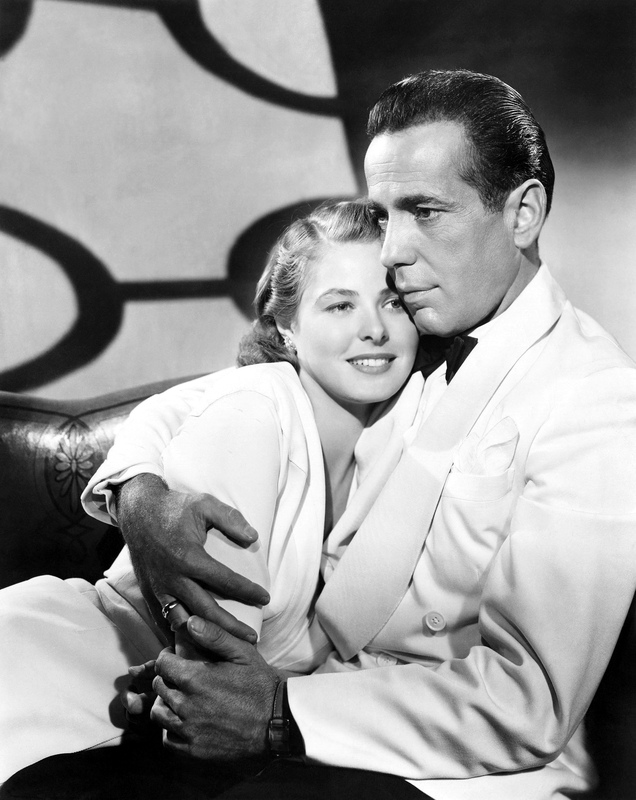 Sam Spade, but it wasn’t until a year later with Casablanca that he would finally be a romantic lead.